- FrancesCassandra: UK fashion, beauty and lifestyle blog. 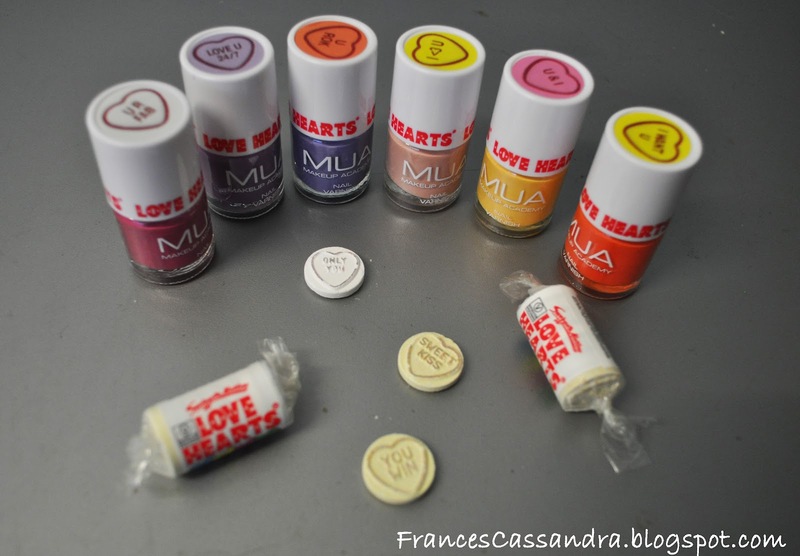 : Review and Swatches: MUA Love Hearts Collection Nail Polishes. Review and Swatches: MUA Love Hearts Collection Nail Polishes. So I am sure that most of you by now have heard of the Love Hearts collection that MUA have recently brought out. If not, it is a range of nail polishes and tinted lip balms that come in a selection of pastel and bright colours, perfect for summer. 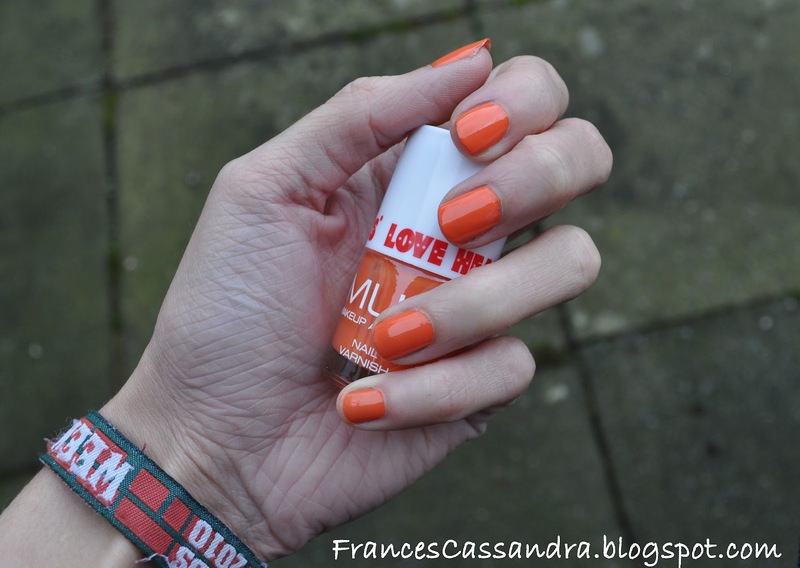 I am a bit late on the bandwagon to purchase some of the products as they don't stock the collection in the Superdrugs in my home town, so I had to wait until I went to Liverpool today, where I picked up the entire range of nail polishes. There are six different shades to choose from, so I thought I would make this post to give those of you who are still pondering over what to buy an idea of what the colours are actually like on the nails. I stood outside to take the pictures to try and get an accurate picture of the colours as I am sick of the lighting in my house not doing my nail polishes justice in my NOTD posts haha! I have also stated underneath each picture how many coats it took me to achieve opacity. 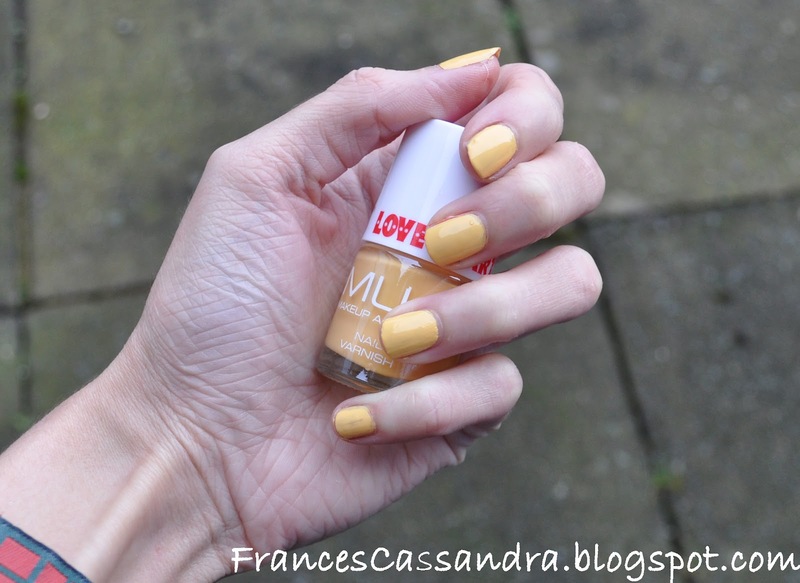 At £2 each, I don't think you can complain about these polishes, and I would definitely recommend you try them, along with most of the MUA range. These can be bought at selected Superdrug stores and also on the MUA website. 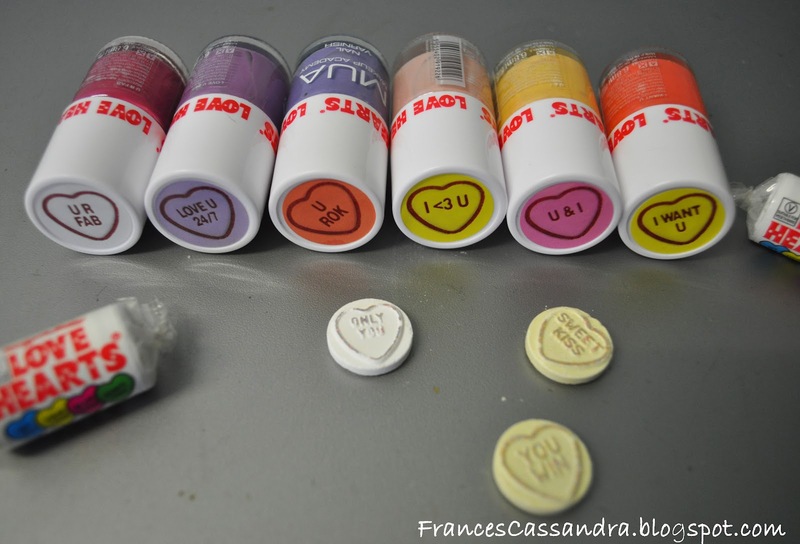 Have you tried anything from the MUA Love Hearts collection? 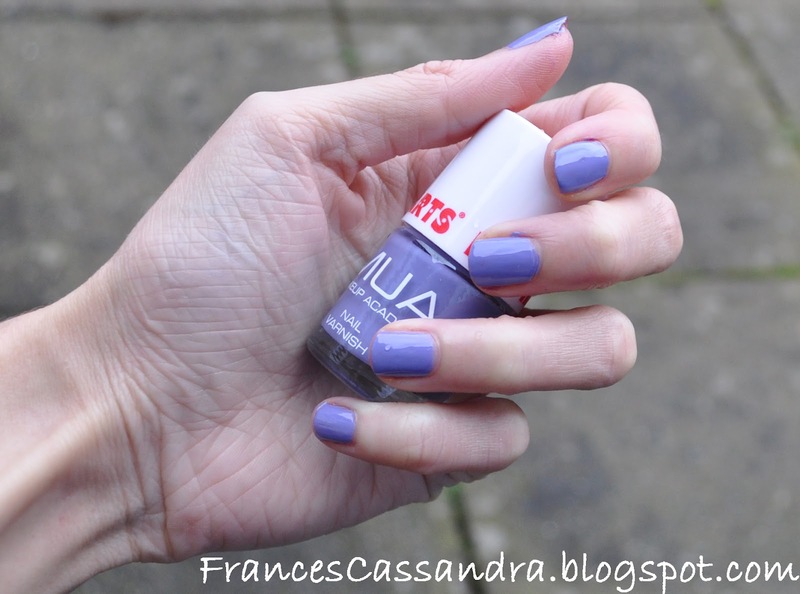 My superdrug doesn't stock them either which is so annoying as i love the purple colours! Wow i love u rock! Oooo they are so pretty I want to try them all!! I really need to pick these up, but like yourself they don't stock them in my local superdrug. I'm going to have to hunt them down. Such cute colors. Love this blog post! What gorgeous colours! Definitely tempted by these! Love the orange especially, not sure why just really appeals! I really want to get my hands on this collection, I must go shopping! Just bought mine, so excited, definitely can't go wrong for £2! Am now following you.